How many times have you been peacefully driving along and then looked up to see this horrifying message displayed on a roadside billboard? Although we all know that driving can come with certain risks, seeing the number of actual deaths caused by traffic accidents is definitely a shock to the system. Unfortunately, these numbers are only a fraction of the overall traffic fatalities that occur each year throughout the nation. The National Highway Traffic Safety Administration (NHTSA) tracks data and trends of yearly traffic accident deaths across the United States using the Fatal Analysis Reporting System (FARS). As of 2013, FARS had recorded a sad yet steady increase of fatalities from year to year. However, a short lived glimmer of hope arose as the 2014 data rolled in. At the beginning of the year, the NHTSA gathers information from the previous year’s FARS reports and publishes the findings—which are usually disheartening. However, 2014’s data actually showed a record decrease in deaths, while maintaining similar accident causes. Fatal traffic accidents accounted for 32,675 deaths—a 0.1% decrease from the previous year. The overall fatality rate fell to a record-low of 1.07 deaths per 100 million vehicle miles traveled—the lowest since FARS began collecting data in 1975. Nearly half of passenger vehicle occupants killed were not wearing seat belts. States without strong helmet laws saw far more motorcycle deaths than those requiring helmets be used—resulting in 1,565 lives lost in 2014. 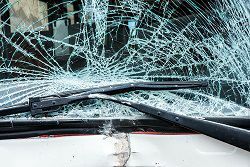 Although work obviously still needed to be done to improve roadside safety, the NHTSA had a moment of hope that the fatality trend may finally be on the decline. Unfortunately, that moment was short-lived as estimations for the 2015 report were made. An 8.1% increase in fatalities from the same period in 2014. A 4.4% overall increase in projected fatality rates. In the meantime, make sure your family and loved ones know their risks and actively use caution behind the wheel. If you think it may help to get your point across, share this article via Facebook, Twitter, or private message to allow them the opportunity to see what’s at stake.